My name is Allan Coleman, I am over 70 and not as active as I would like to be. In only four lessons, David's patience and knowledge has opened up a new world for me on my tablet computer and overcome my fear of modern technology. And once again I believe we are never too old to learn. Thank you David. As a senior I am happy with David's instruction for the use of my laptop. He is patient and will go at a slower pace. He will answer any questions and showed me what the software I have will do. David has been tutoring me for over a year now. I have learnt many things about my computer. It is comforting to know that I can email my family every day at any time, download photos and open icons. David is professional, polite and courteous during his visits. He is punctual and takes care to explain everything in a way that makes me feel empowered. As an older nurse and midwife, professionally and personally I felt constrained by my lack of confidence and knowledge in relation to the ever expanding and changing world of computer technology. David's gentle, patient and innovative approach to teaching and problem solving has empowered me to develop new skills which I am able to practically apply when using my PC at home and at work. For any senior who is wanting to overcome their fear of computers and open up whole new horizons, I couldn't recommend David more highly. I had a few appointments with David. He always arrived on time, well presented and polite. He has empathy with us seniors and patiently explained the 'how to' with problems I had with computer programs. I can recommend his service. David came to my home so that I could use my own computer. He was very patient and repeated the necessary steps until I was confident in understanding the steps he was teaching me. 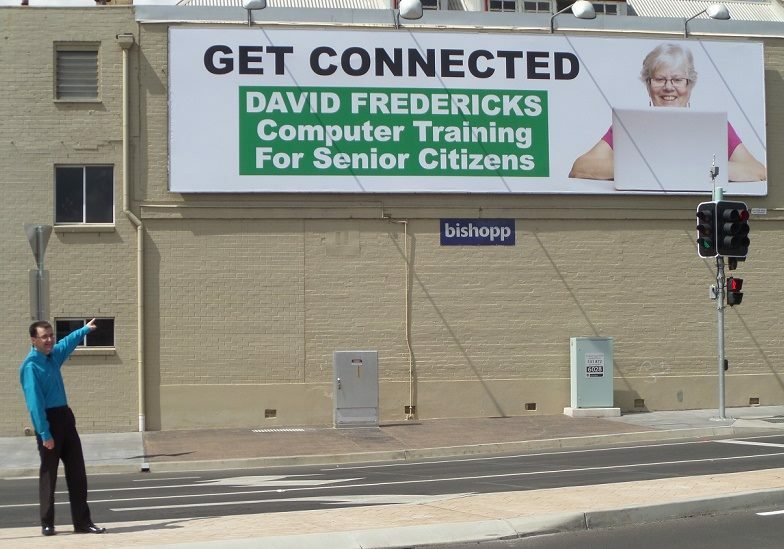 I would recommend David to anyone wishing to learn more about their computer.